Use a Contest to Drive Traffic to Your Trade Show Booth | Displays and Exhibits, Inc.
Few things are more of a draw on the trade show floor than the promise of a freebie, but an exciting contest can really bring the crowds. With a little promotion and the right setup, a contest can help boost the amount of targeted traffic stopping into your booth and interacting with brand representatives. What excites trade show attendees more than big signs, bright colors and bold statements? Freebies. And the most enticing freebie of all? The exclusive freebie deemed as a reward solely to contest winners. If you’re looking to drive traffic to trade show booth spaces as quickly and passionately as possible, run a contest giving something– anything– away. Typical swag and freebies are a dime a dozen and while attendees may enjoy collecting these pieces, the bigger draw is the chance to win something that everyone else can’t get their hands on. Running a contest with a single or small amount of giveaways can also be a less expensive way to drive higher number of prospects to your brand’s booth. When word spreads that there is a free opportunity to take home a limited prize, every visitor will want to drop by your booth to see what it is and make sure they participate. 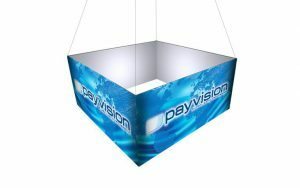 Tying the contest into a new product launch or special promotion is the perfect way to advertise your brand and bring added attention to your business on the trade show floor. Skip a generic prize and focus on what your business regularly offers. Giving a product or service away invites a number of interested parties to investigate your brand while lucky winners can experience your business outside the trade show sphere. Those entering this contest are participants eager to utilize what your brand has to offer, so the pool of entrants is perfectly targeted to the business, not just a fancy ploy. Following up with entrants after the conference or convention is over will become a breeze when the prize is tied to your everyday business. To get the most out of your contest, it will vital to require participants to visit your actual booth. While some giveaways can be entered from home or effortlessly dropped in a raffle box on a booth table, making interested participants stop into your booth and speak with a brand representative can help convert the excitement over a contest into business interest. Incorporating an interactive experience alongside the contest entry keeps visitors at the booth for a longer amount of time, aiding in education and informational purposes. iPads and kiosks can be the perfect setups to host your contest, pulling trade show attendees into the booth and along merchandising walls, all with the allure of technology. When inviting out current and potential customers to your trade show appearance, publicize your brand’s contest as a means to getting them excited to stop in. Using email campaigns and social media channels to inform your client base, fans and followers of the contest promotion can stir up some added attendees to come out to the event, pop into the booth space and try their luck at the giveaway.